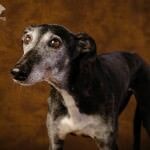 Catherine came to the studio with Poppy, a 10 year old gorgeous Lurcher. Catherine explained that Poppy didn’t like hard floors which was a concern because our studio has concrete and tiled floors (easy to clean up the odd accident when it happens). 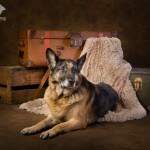 To welcome Poppy and to make her time at the studio fun, relaxing and comfortable we covered the floors especially for her with blankets, rugs and some of our muslin backdrops! We are very sensistive to every detail of the shoot and we didn’t want Poppy being anything other than completely comfortable. In return, Poppy thanked us by being a complete poppet (see what I did there!). She absolutely rocked her session and look at the gorgeous results! Catherine explained that she had never got a photograph of Poppy with her ears up & pert … so that was our challenge! 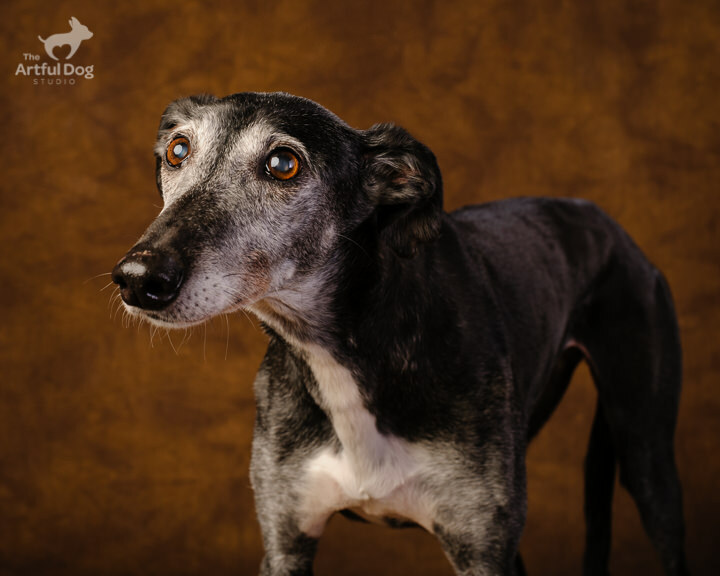 With patience and the right distractions we got these lovely portraits with ears perky and gorgeous! Can’t say it was easy – they only stayed up for a slit second but we nailed it! Really chuffed that we managed to fulfil the brief on this portrait. She was worth it – I think we both fell a little bit in love with her! Ears down and still gorgeous!! Did you know that Lurcher is thought to take their name from the Romany word ‘Lur’ which means thief, in reference to the stealthy manner in which they stalk and catch their prey. Do you have a lurcher? 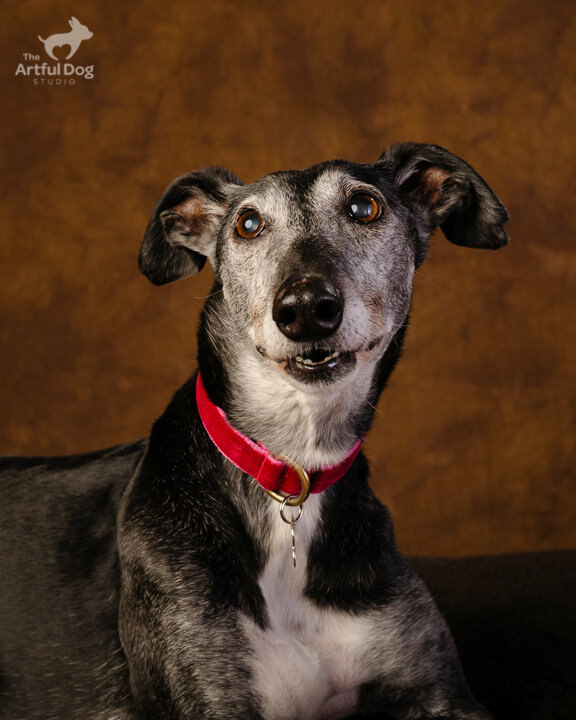 We have photographed seven so far – they are always a delight to have in the studio … so run along to our ‘Bow Wowchers‘ page and buy a session for yourself – it’s just £35 and we promise to try & get perky ears for you too! Woof!